practice will help make your business work. The Day I Met The Juggler. I saw a live performance of a juggler the other day. I was completely mesmerized about watching that juggler showcase his craft. I begin to wonder how he was able to keep all the balls in the air. It's like his eyes were transfixed on a particular point, and he tossed about one ball, while anticipating what would happen to the other balls. Then he added another and another and another...until he had four balls in the air at once. After watching him perform, I went home and tried it myself. I couldn't even keep two balls in the air at the same time. And that's because I hadn't practiced the craft of juggling. After Failing At Juggling, I Studied The Experts. Expert jugglers became experts because they took the time to learn the system of juggling often do so with a lot of practice. The more they practice, the better they become. And it's only through practice that they are able to master a delicate system of throwing, catching and timing. 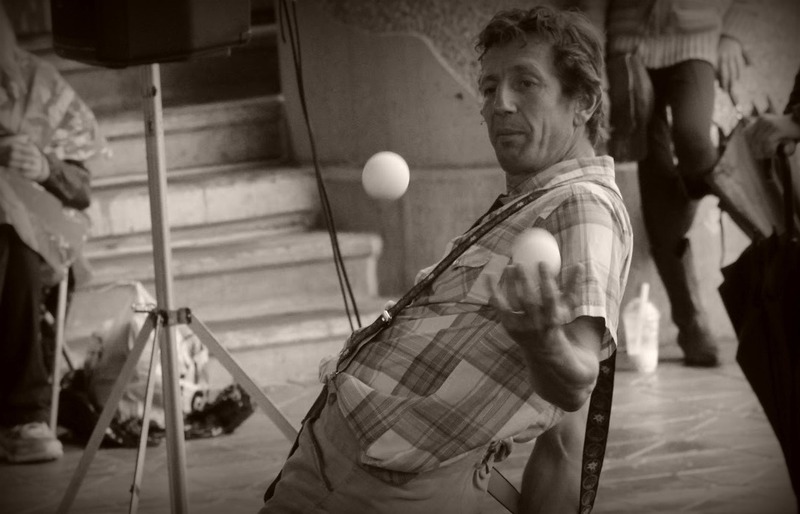 I Noticed An Uncanny Similarity Between Juggling And It's Tie To Small Business Success. You can learn a lot about small business success by watching a practiced juggler at work. Effective juggling, much like effective business juggling, takes practice because it's something new, something different. Getting your business off the ground may be difficult at first because it's something new...something different. So...to make your business real, you will need strategy, time, and practice. Much Like Juggling, Small Business Success Takes Practice. Too often, new businesses owners expect small business success to happen overnight. They underestimate the time that's needed to perfect their system. Don't Fall Into The Small Business Juggle-Trap. Don't make the mistake of haphazardly juggling and jumping through hoops just to keep your business afloat. Recognize your business as a system of people, processes, interactions, and offerings. Small Business Success Requires Practice. Once you've defined your business as a system, you will find that running your new business will become easier. And, as you define your system, you will find that your business will become real over time with strategy and time to practice. Spend Time Understanding What It Is That You Need To Do To Make Your Business Real And Possible. With strategy, time, and a systematic view, your business will begin to transform into an entity that your customers will appreciate. To experience small business success, replace your juggling approach with sound strategy and decision making that will make your business dreams real. Here's to adopting a systems view that will allow you to achieve small business success! Your Key To Small Business Success Requires That You Make Your Business Real By Using The Right Strategy Over Time. Browse Below To Find More Small Business Success. Learn What You Need To Do To Avoid Business Failure. (Here's A Hint: It's Wrapped Into The Detail). The Business Grand Strategy Why Starting A Business Requires Much More Than The Initial Launch. Baby Steps To Business Success. Designing Your Business With An "End Of It All" Perspective. Give Your Business Idea For StartUp A Competitive Advantage Learn Why Your Business Needs Strong Leadership From You.